Say goodnight with these delicious oval-shaped treats. 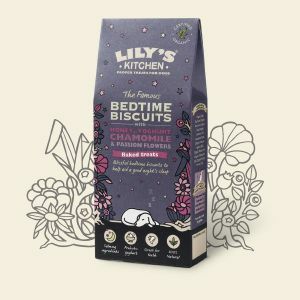 Lily dives into her bed at night ready for her bedtime biscuit! These organic biscuits are traditionally baked and include probiotic yoghurt, honey, passion- and chamomile flowers. They're also hypoallergenic and wheat-gluten free.